Here’s a Steam Greenlight campaign, run by fans, featuring a virtual reality mod for a game made by the guys who own Steam. Playing a proper VR version of Half-Life 2 seems like a no-brainer for anyone with a VR headset. It also seems like something Valve would have made and released for free with the Vive at launch. They didn’t, though, so here we are. Half Life 2: VR isn’t a standalone product; it’s a mod (that’ll work on both Vive and Rift) for the original game that makes a whole bunch of tweaks, like increasing the resolution on a bunch of textures and models, creating a new 3D interface and new “interactions” for weapons like the crowbar. So why vote on Greenlight for a mod? 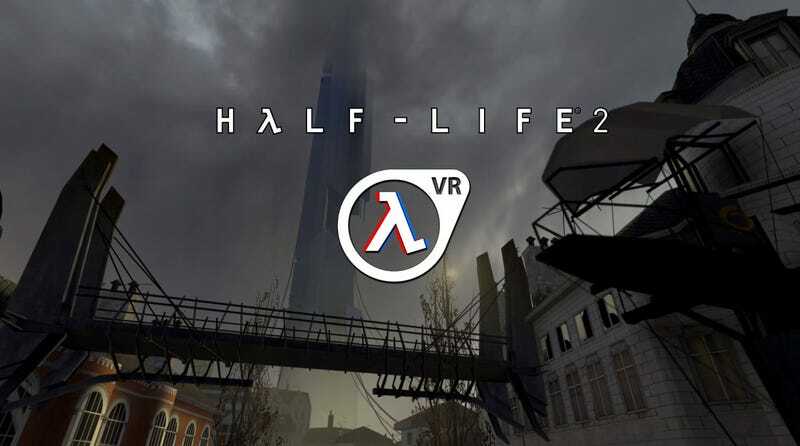 The creators (some of whom worked on an older version of the same idea) want it to be able to be installed with one click via Steam, the home of Half-Life 2, and as such need a Greenlight campaign to be successful in order to get it there.